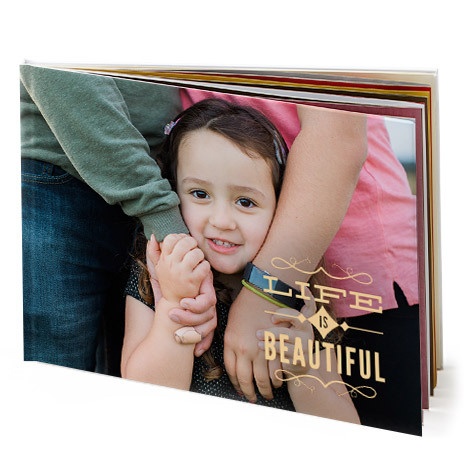 Capture the magic of your life and all the stories you love in beautiful photo books. 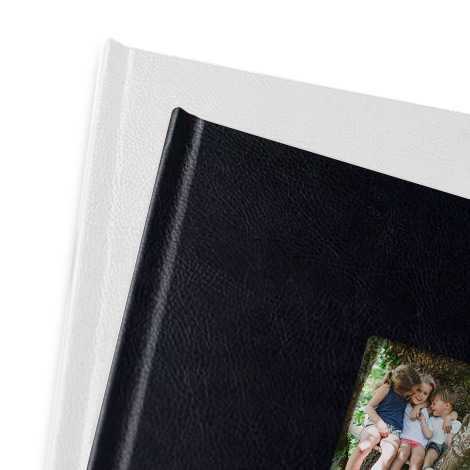 When it comes to capturing your magical moments in a personalised photo album - size really does matter! 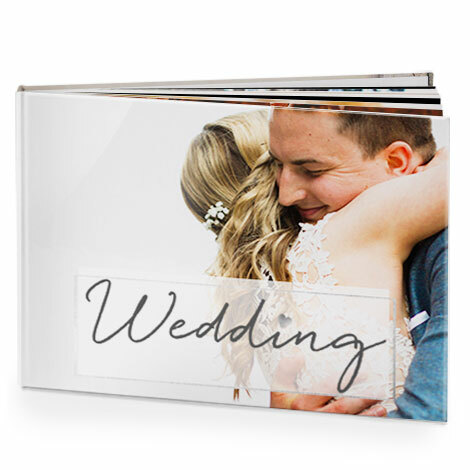 That’s why we have a photo book for every occasion in a wide variety of sizes and layouts for you to choose from. 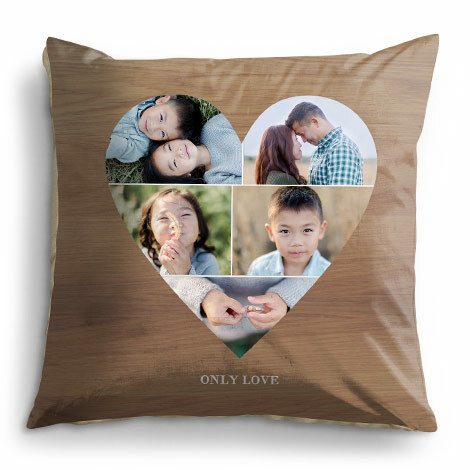 Find exactly what you’re looking for to highlight your most special moments. Choose between more than 100 pre-designed templates, and feel free to personalise them in our book builder. 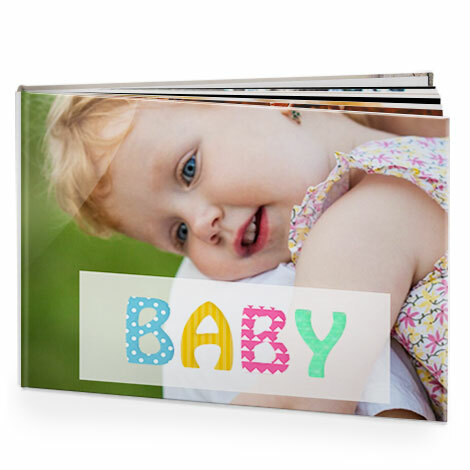 Choose your favourite photo book cover from our 5 different styles. 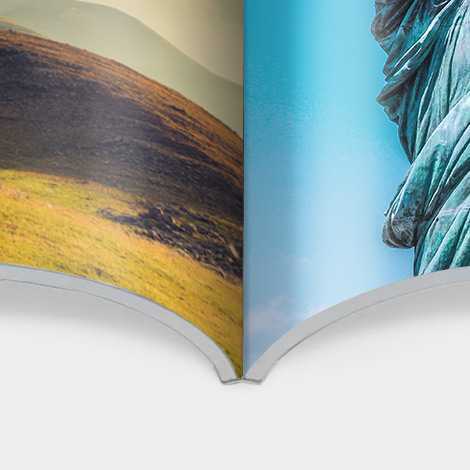 8x6", 8x8'', 11x8", 8x11", 12x12", 15.5x11"
Discover more about our range of binding types. Whatever kind of book you want to create, we have the perfect match. 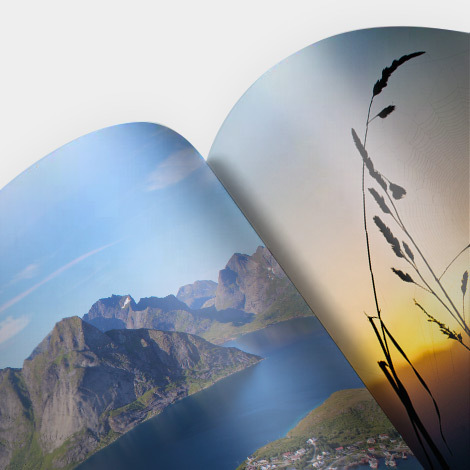 A choice of gloss or matt custom photo cover; extra-think layflat pages; lustre-silk finish, seamless binding, ideal for two-page spreads. 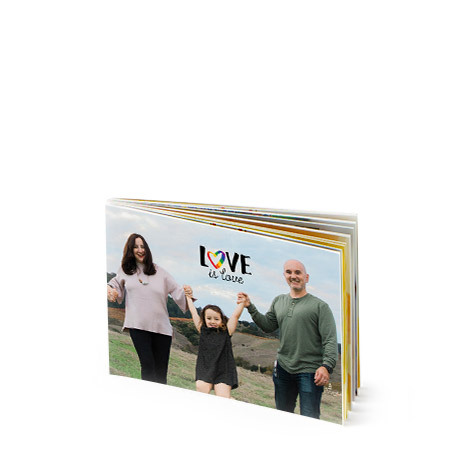 8x6", 8x8'', 11x8", 8x11", 12x12"
A choice of gloss custom photo, matt, linen or leather cover; semi-gloss finish pages. 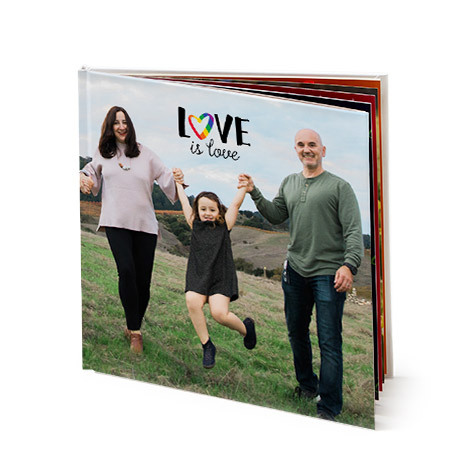 8x6" , 8x8'',11x8" , 8x11" ,12x12", 15.5x11"
Beautiful softcover book using archival quality paper with a semi-gloss finish. Simple, fun Papercover book, printed on archival quality paper with a semi-gloss finish throughout including cover, staple bound. 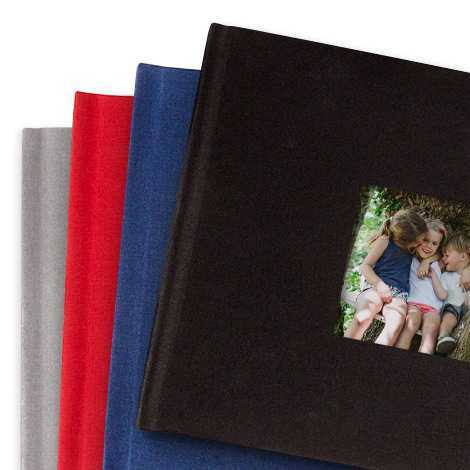 Give your photo book a finishing touch with our 3 different paper finishes. 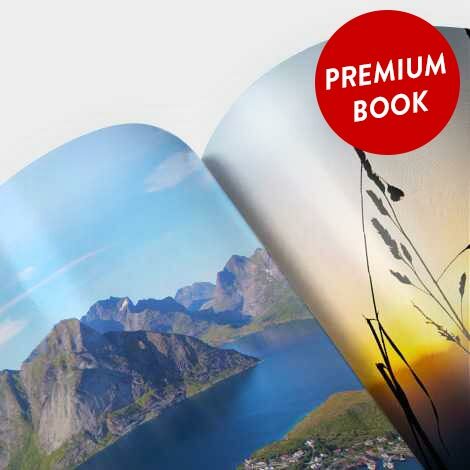 The extra-thick premium paper has a lustre-silk finish with a seamless binding, ideal for two-page spreads. 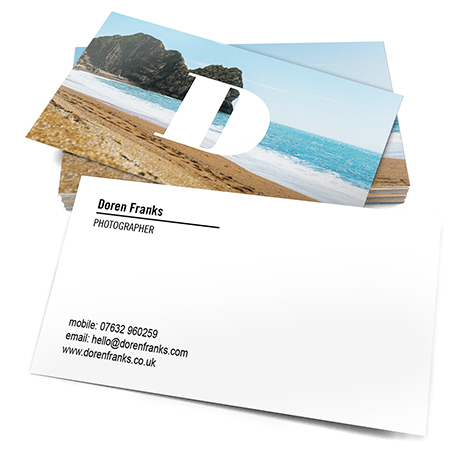 A higher gloss level, with extended white point and smooth surface assure colours appear vibrant and photos come to life with exceptional depth and clarity. 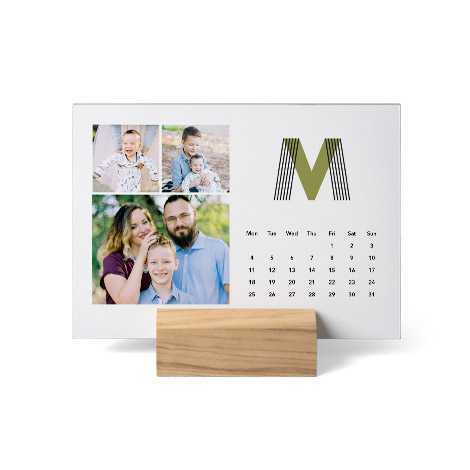 8x6", 8x8", 8x11", 11x8", 12x12", 15.5x11"
Delightful semi-gloss finish for the best natural representation of images. 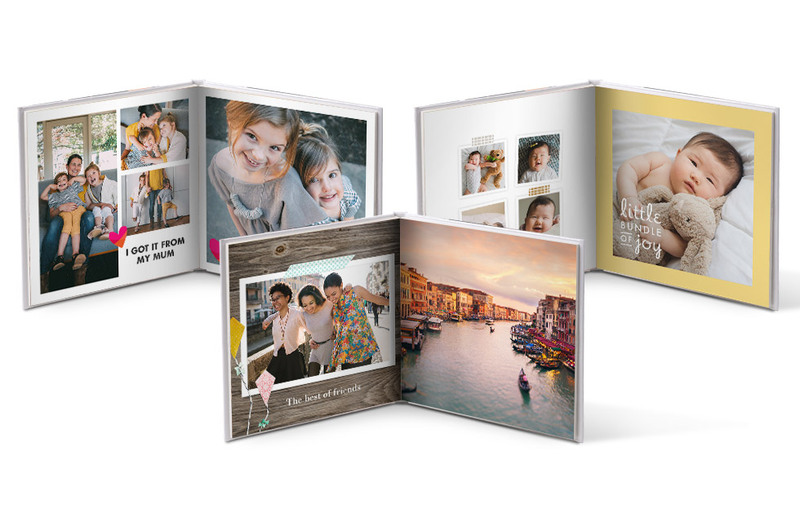 Whatever kind of photobook you’d like to create, we have the perfect match. 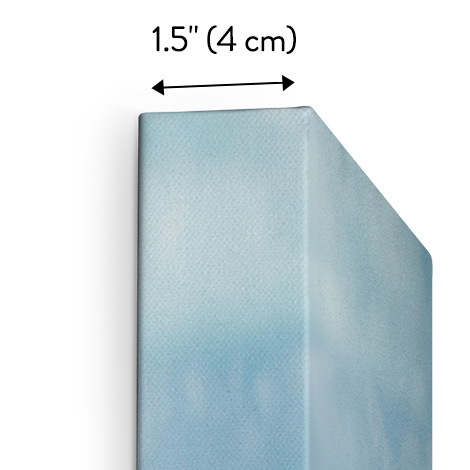 With 7 different sizes and cover types there’s a lot to choose from. 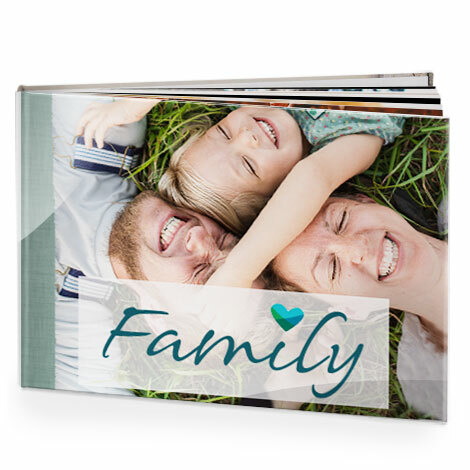 Ranging from large leather photo albums to handy 6x4” photo books. 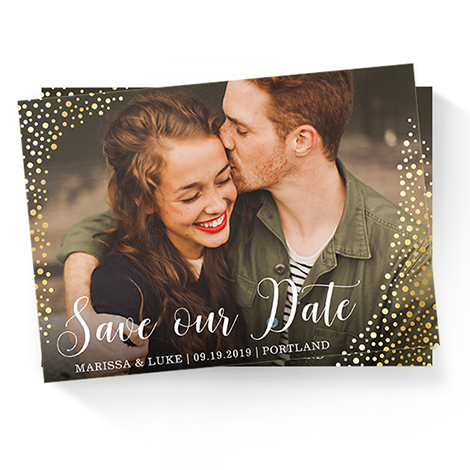 From simple to sophisticated and more, our designer layouts help you put the focus on your beautiful photos. 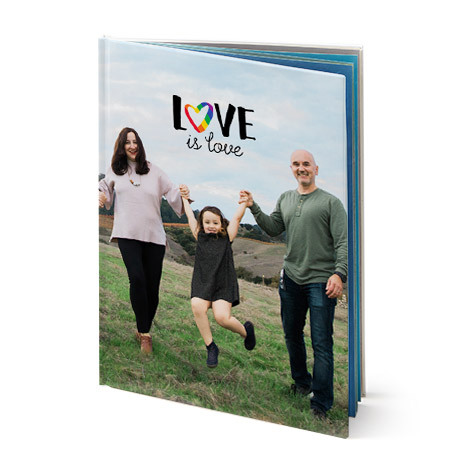 With more than 100 pre-designed templates to choose from, it’s easier than ever to create your own photobook. 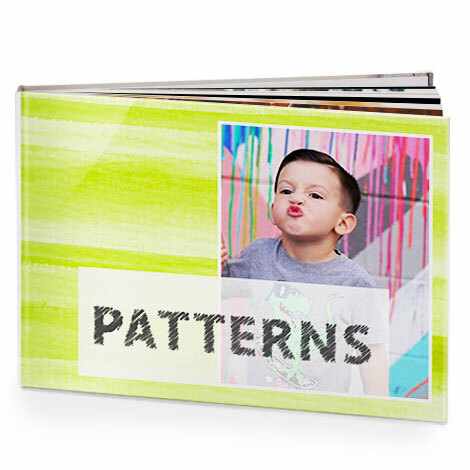 Our easy-to-use photo book tools provide a straightforward and intuitive way for you to get building with ease. We also have some helpful video tutorials to further guide you if needed. Once we receive your order, it takes us a few days to make it just right for you. Even though every order is custom, it only takes 2-3 business days to process your order. We’ll send them out for delivery as soon as they’re ready. 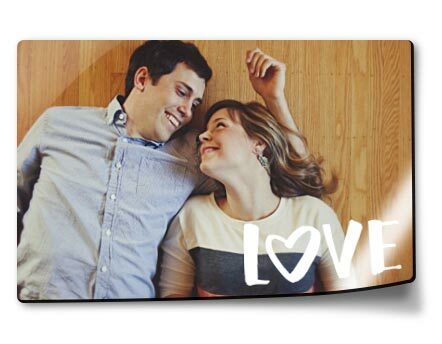 We love photos and know you do, too, so we only sell products we’d want our own photos on. We scour the world of photo printing to select the finest papers, inks, and materials you can get for the money. And every order is hand-inspected to ensure your order is just right. 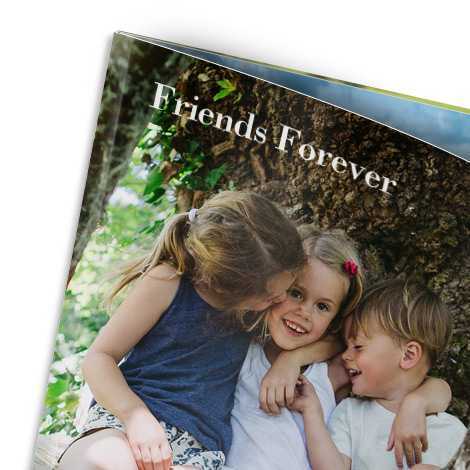 All of our Photo Books are made in the UK, helping to not only secure more jobs but also reduce the carbon footprint and minimise the time taken to deliver your Photo Book to you. 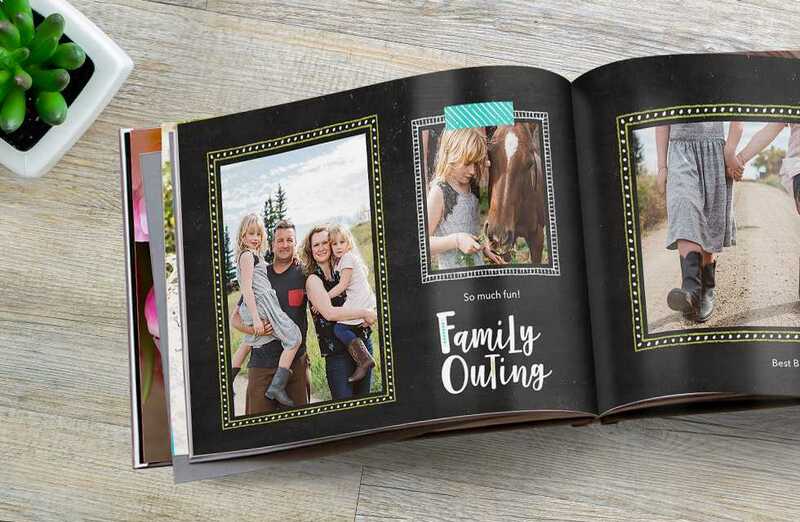 Let yourself be inspired by the ideas on our blog and discover the many great ways to use your photobook. Creating Photo Books with Guest Bloggers! 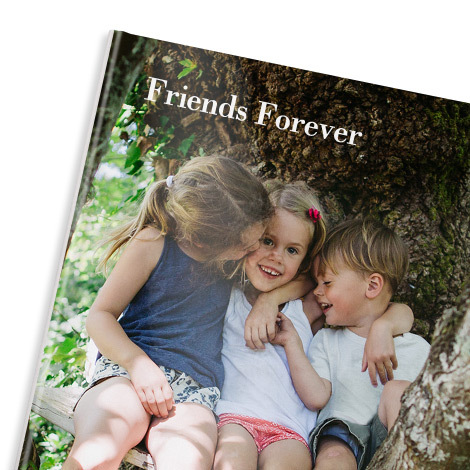 We’ve teamed up with some of our favourite Parent bloggers to celebrate all things Photo Books. 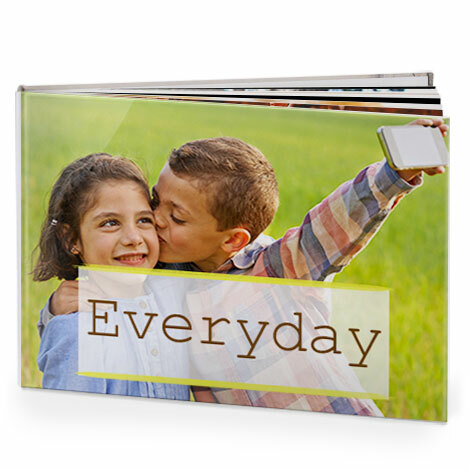 Follow the five simple steps of creating a 8×6″ Softcover Book on the Snapfish App. How can I add/ delete pages from my Photo Book? 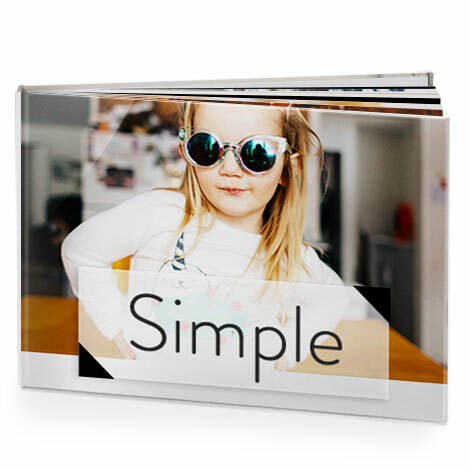 You can insert and delete pages from your Photobook using the +/- menu in the book builder. Pages must be added in multiples of 2 for most books, apart from the 6x4” book which requires pages to be added in multiples of 8. 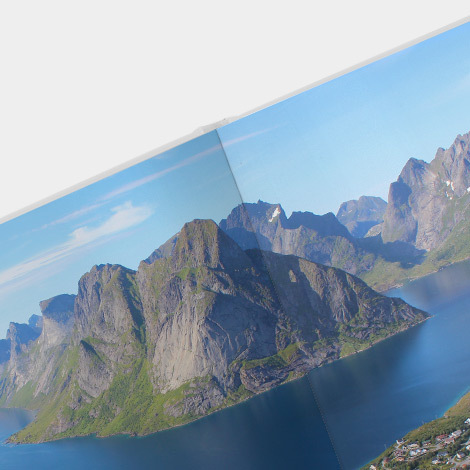 Keep in mind that our photo books require a minimum of 20 pages, so you cannot delete pages if the book has only 20 pages. 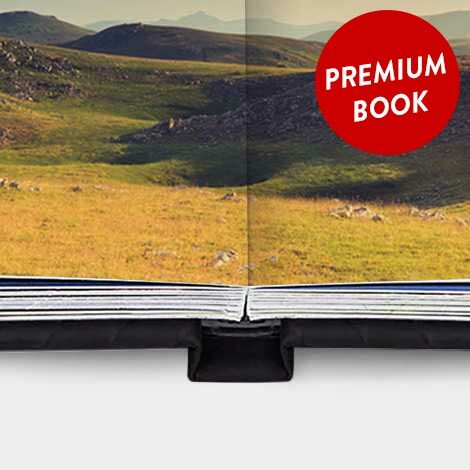 The maximum number of pages is usually 150, however can vary depending on which Photo Book you choose. Check each book’s product description for more details. 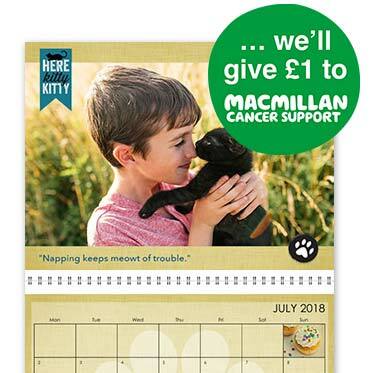 Can I add a photo across two pages? Yes, it is possible to have a photo span across two pages. 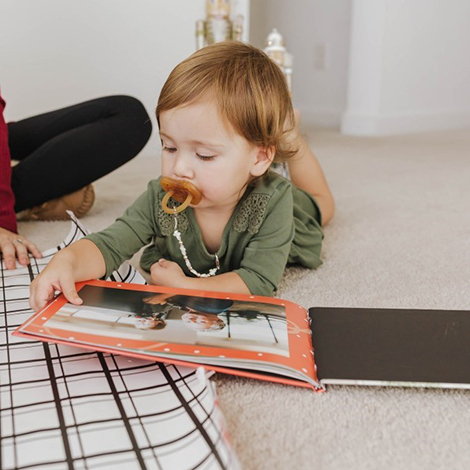 Our Layflat Photo Books are ideal for this type of spread. 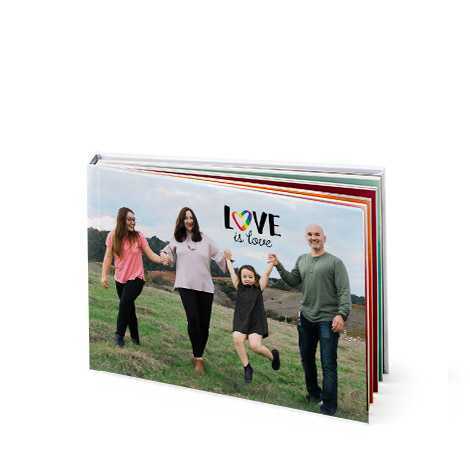 The seamless layflat binding of our Layflat Photo Books allows you to spread your photo elegantly across two pages. 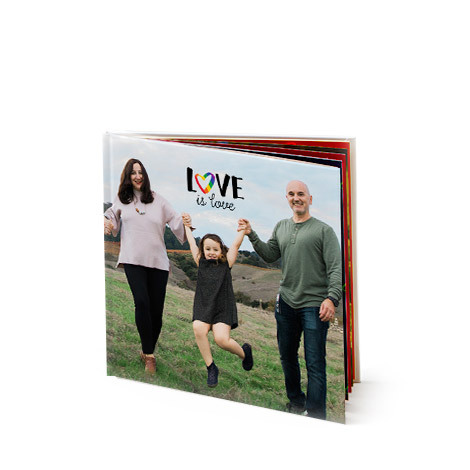 Although it is possible to span a photo across two pages on all our books, we would always advise you to use Layflat Photo Books for this type of page design. The binding with other book types will cause the photo to be cropped. 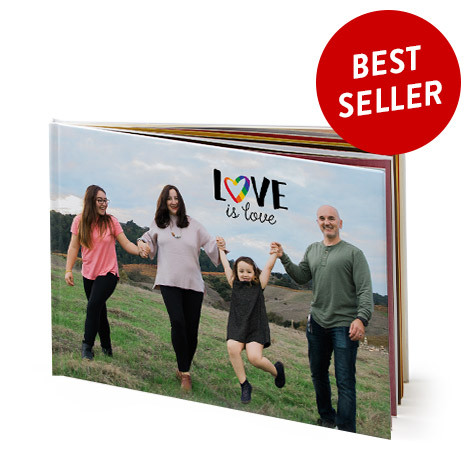 Can I change the book type on an existing Photo Book project? 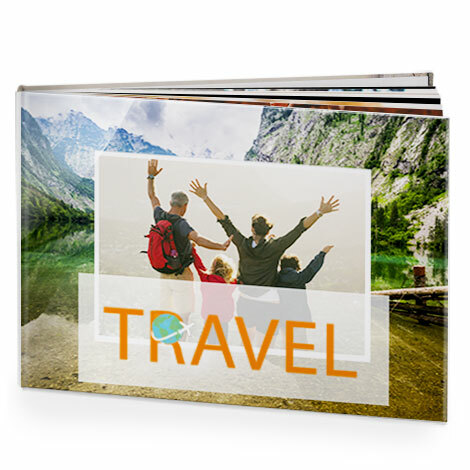 You can upgrade your Photo Book type from one to another of the same size. The option to do that is on the ‘Review page’ in the book builder. Keep in mind, you can only go up in book type quality. 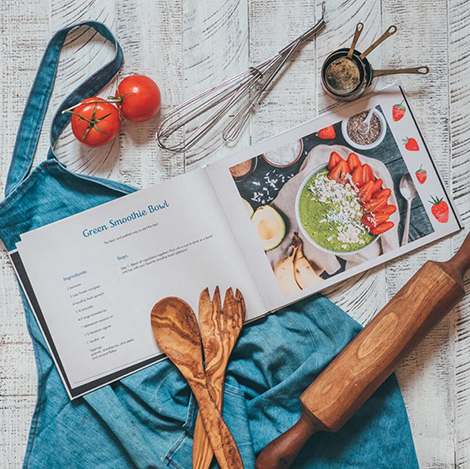 For example, you can upgrade a Softcover book to a Hardcover book, but cannot upgrade a Hardcover book to a Softcover book, or change the book size. 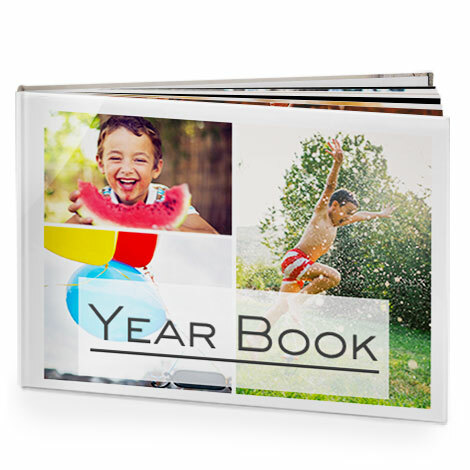 If you choose to upgrade your photo book two versions of the book will be saved, the original book format you chose, and your upgrade book. Can I share my Photo Book project between the mobile app and desktop site? Unfortunately, you cannot yet share projects between the mobile app and desktop site. 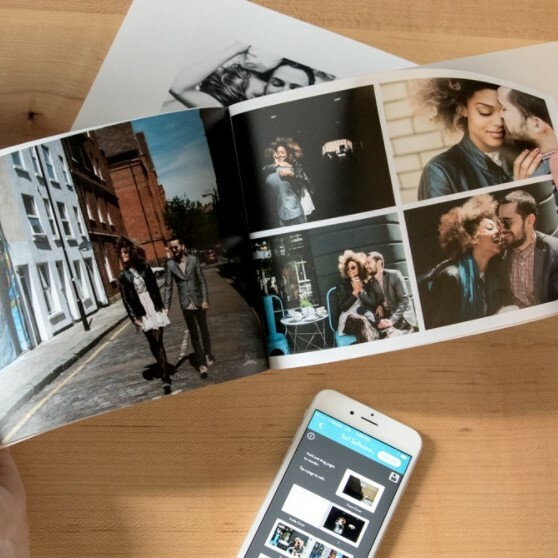 If you create your Photobook on the mobile app, you’ll only be able to view, edit and place your order on the mobile app. The same applies with the desktop site. We are working hard to try and make it possible to share projects between platforms –we’ll be sure to keep you updated. 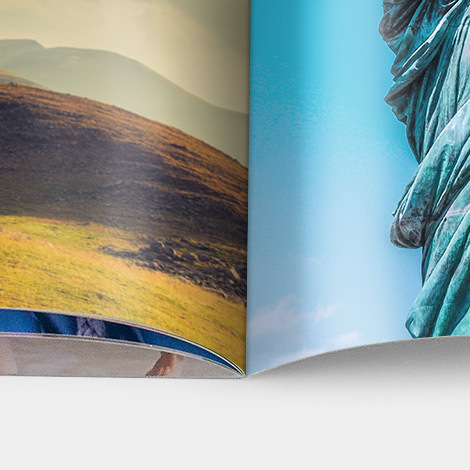 Will default text and empty photo slots be printed in my Photo Book? 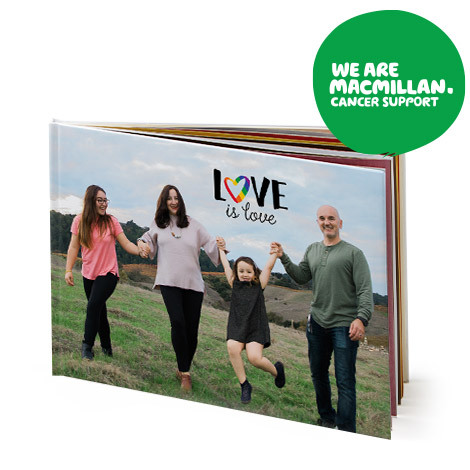 All sample text will be printed in your Photo Book unless you edit or delete the text using the ‘bin’ icon. 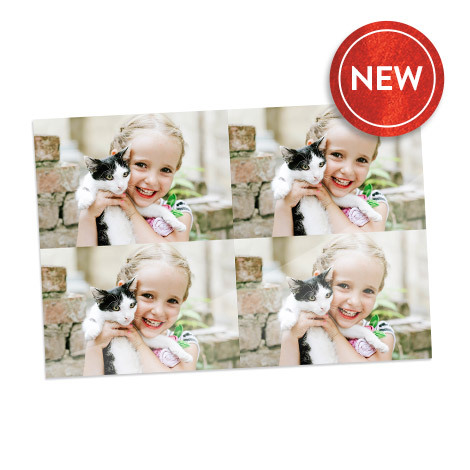 Any photo slots left empty in your Photo Book will be printed blank. 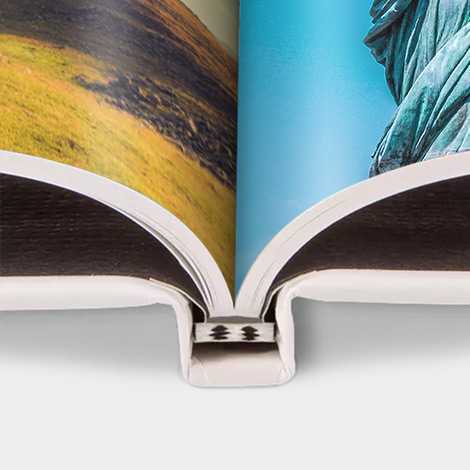 How thick are your Photo Book pages? 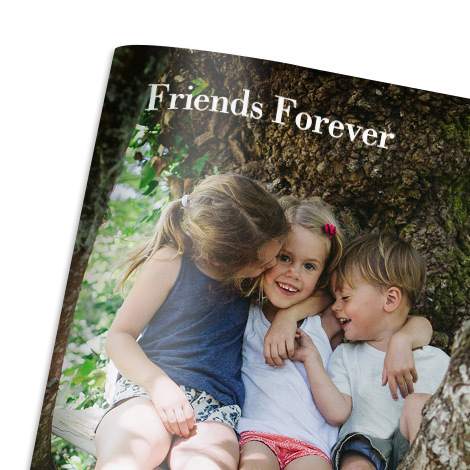 All our Photobook pages are 200 gsm thick, however we also offer an extra-thick premium paper in our Layflat Photo Books. 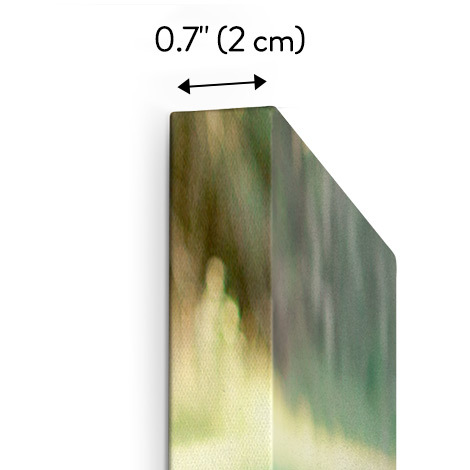 Our Layflat pages are extra-thick due to the matt laminate added to each page. Need more answers? Visit our help pages. Want a little guidance to help make books you’ll treasure for years? No problem. Check out these tips. 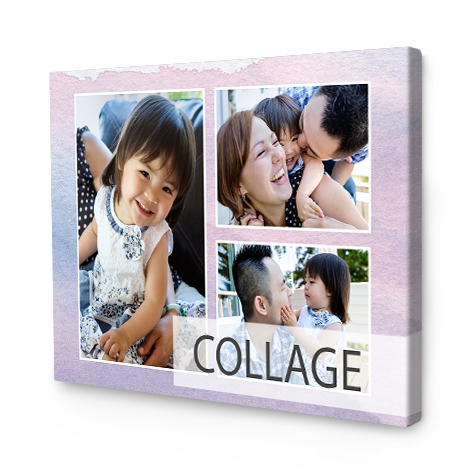 Design and print your own personalised photo album in a few simple steps - without scissors, paper or glue. 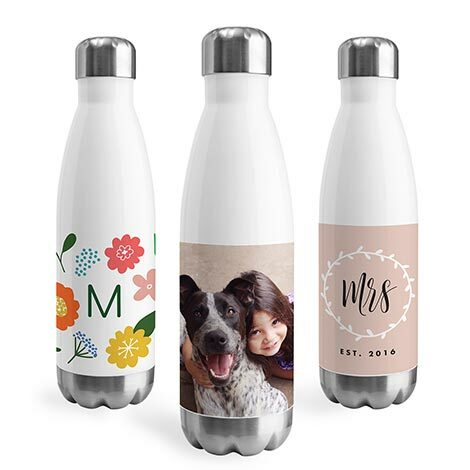 Just choose the right size and design, upload your pictures from your computer or directly from Facebook, Flickr or Instagram - and you can begin to fill your Snapfish photo book with your favourite photos. 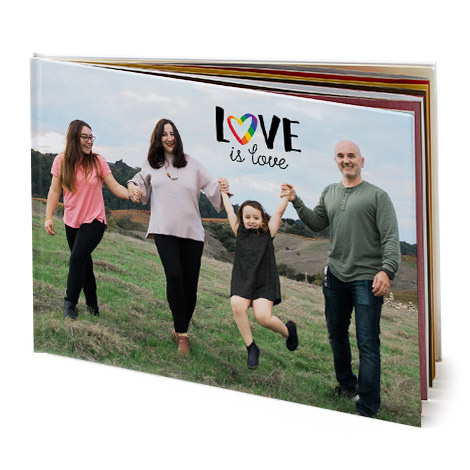 A custom photo book is the ideal gift for family and friends. 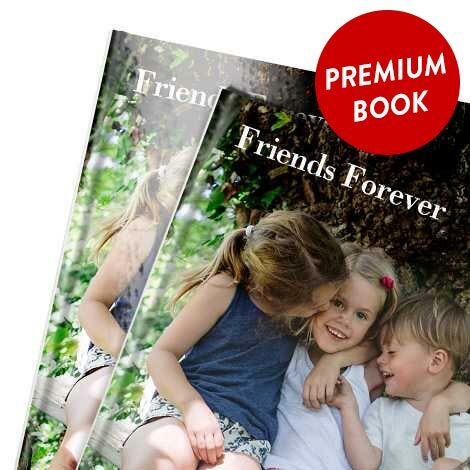 You will give more than just a photo album, you will remember the special times you've shared together; a visit to the zoo, Birthday celebration or a holiday together - keep these memories forever with a photo book!